Leaving for Honduras for a week. I'll be offline and out in the country, somewhere. 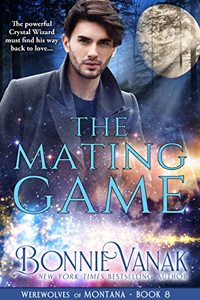 In the meantime, I updated my website to include an excerpt of my July 24 release. Click here. Hope you enjoy it and have a great week! Next week I'll be in Honduras for the day job. I was there back in March as well. As we toured areas north and west, ideas sparked. I envisioned one of my Navy SEAL characters in the mountainous terrain, engaged in a dangerous mission to find an evil warlord. As our team trudged down steep mountain paths to interview villagers about their living conditions and what we could do to help, my mind clicked into overdrive. Later that night in my hotel room, I jotted down those ideas. Buoyed by venturing into different terrain, my mind came up with all kinds of ideas. Those ideas sparked into the book I'm now writing called The Phantom Wolf. 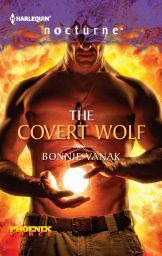 Phantom is the next book in my new military series for Nocturne and features a secondary character from The Covert Wolf. Sam "Shay" Shaymore is a Navy SEAL and an extremely powerful Mage who can shapeshift into a wolf. Shay and Kelly, the heroine, venture into a small village in Honduras overpowered by evil. There, they must rescue Mage children who have been kidnapped. This story has action, adventure and overtones of child trafficking, as well as the paranormal element. It's definitely a trademark for me to always have a happy ending in every book I write. I must...it's why I choose to write romance. I could write other types of fiction, but having worked in the field of humanitarian relief and development for nearly 19 years, I NEED a happy ending. And the elements of child trafficking in the book I'm writing? I wish I could say they were straight out of my imagination. They're not. Child trafficking happens frequently in Haiti and Honduras and other countries I visit for work. It's a horrible reality. The organization I work for, and our partners, help as much as we can, but our work is diverse and the evil forces (they ARE evil, there is no other way to describe them) behind child trafficking are powerful. We do what we can. So to compensate for the misery I see, the sad stories I hear, I write issues like this into my books and resolve the situation. It's what makes writing paranormal romances so satisfying...and a much-needed escape for me. You never know when a big, powerful Navy SEAL shapeshifter will come charging through the jungle to set everything straight. Came home for lunch and as usual, our three dogs greeted me. Dolce, the male, and Holly, the female, each picked up a toy. The toy greeting is something Holly learned from Dolce. But Holly picked up the PINK toy and Dolce the BLUE TOY! Blue for boy dogs, pink for girls! It was so cute I had to take a photo of it and upload to my blog. It was a very productive trip. Met a lot of sad, very poor people, including Maria, a mother of four who lives in this flimsy house made from sticks and plastic. You could kick it and the whole house would topple down. 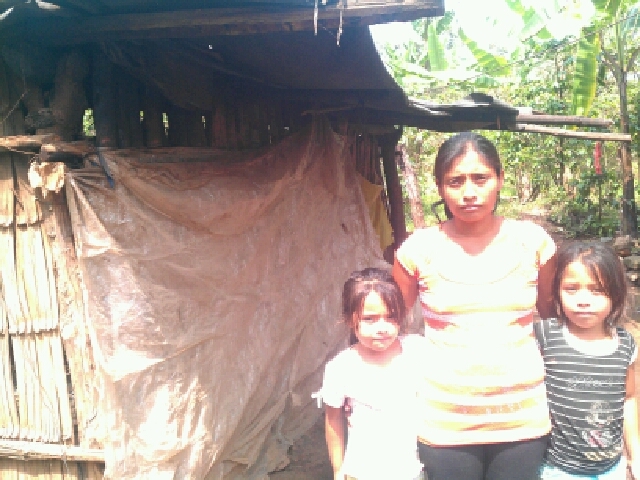 Maria is a single mom who works hard and managed to save US $400 for land to build the house. But because the house is not secure and doesn't have a door that locks, Maria's 14-year-old daughter was raped inside the house and is now pregnant. 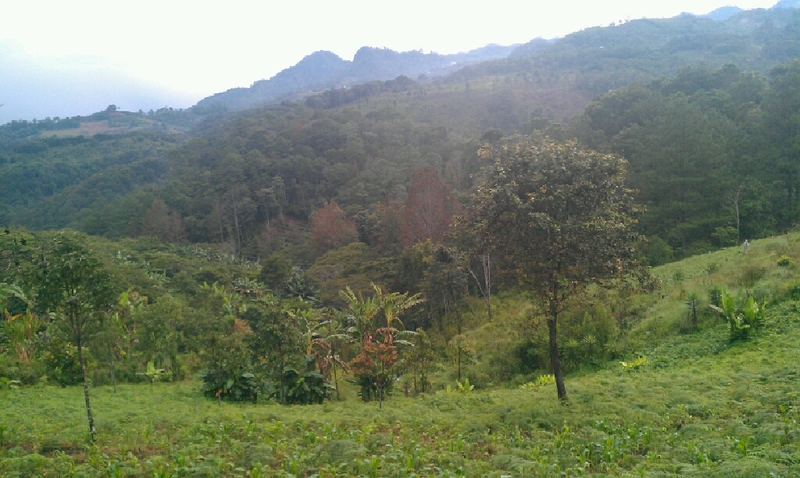 Maria was in another town picking coffee. She had to leave the children alone because if Maria doesn't work, the children do not eat. We are going to build this family a new house with a steel door that locks. On this trip, I traveled north from the capital of Managua to the mountains of Matagalpa, where many of the coffee plantations are. We visited some remote areas where we will build houses. And while in Matagalpa, I had the chance to try "huevos de toro" soup. Not bad! Not something I'll clamor to eat again in the near future, but I'm glad I tried it. 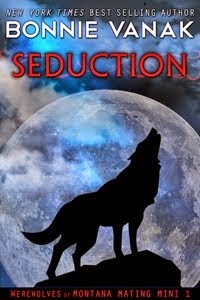 Before I left the country, I emailed the new Craving novella, Incubus Wolf, to my editor. This story is scheduled for release in October. Now I have to begin the new book, which I'm calling The Phantom Wolf. It's the second in The Phoenix Force series, about paranormals who are US Navy SEALS. seeing hungry children who have no food. These trips always take a little out of me. But I digress... I wanted to share an amusing tale about my disorganized book collection and how my Nook came in handy last week. I wanted to read a paperback I'd purchased last year. I knew it was in the bookshelves, someplace. Mind you, trying to find a book on my shelves is like searching for the dog when it's time to go to the vet. I KNOW she is there, someplace, but she's good at hiding. I looked at my bookcase, at all the books, and just could not deal with it. I bought and downloaded the book. It's now digital, on my reading device and I don't have to search anymore. Of course I KNOW that paperback will pop up sometime before I finish reading the book... that's the rule, isn't it?